Mayor Sims called the regular Council Meeting of March 10, 2014 to order at 7:30 P.M.
Mayor Thomas Sims and Council members John Ruymann, Traci Fallow, Allan Palmerson, and Angelo Cilluffo answered roll call. Councilmember Fallow made a motion to excuse Councilman Hawkins’s absence. Councilmember Palmerson seconded the motion. Motion carried. Motion was made by Councilman Ruymann with a second by Councilor Palmerson to accept the regular meeting minutes of February 10, 2014 as written. Motion carried. Buck Meile: Passed his turn, but informed others in attendance if they wished to speak to the Council that they needed to sign-in. At this time two gentlemen signed-up to speak. Dale and Allen Brant: They are the sons of Al Brant. The park is named after him. Both gentlemen were here to express their sadness and frustration with the new sign at the park. They are not upset with the sign construction, but with the wording on the sign. They produced Oakville Resolution #254 which states the park was named Alfred “Al” Brant Municipal Park honoring their father. They went on to say their family would contribute half of whatever the cost might be to change the name back to the way the sign was originally worded. A lengthy discussion followed. POLICE REPORT: A copy of Lt. Porter’s report was given to the mayor, city attorney, clerk, public works director, and each council member. Public Works Director, Dan Thompson’s Water, Streets, Cemetery, Parks & Misc report was in the packets. Mayor Sims asked Dan to put together a meter report showing the year and make of the meters in use. STAFF REPORTS: Flood Authority Report: Dan Thompson reported meetings are held one time per month, with every other month the meeting is conducted via tele-conference. Many of the small projects have been completed and the remaining are near completion. Community Watch: Guidelines were included in the packets. Councilman Ruymann will be scheduling an appointment with the G.H. Sheriff’s Dept. He suggests we move forward as soon as possible. Haul-It-All Letter: A motion was made by Councilman Cilluffo with a second by Councilmember Ruymann to allow Keren Lloyd to hold his recycling event again this year on Saturday, April 5th between 8:00 AM and 5:00 PM. Motion carried. Insurance Letter from Canfield: Wiring needs to be brought up to code asap. Dan was asked to obtain bids from certified electricians to get a cost estimate. Mayor Sims stated he would get at least one more bid for flooring. The clerk-treasurer has one already. Questions for Town Hall Library Meeting: There were no specific questions the council needed answered. The Council wants the public to be able to ask questions and make comments regarding the library’s future. Mayor Sims will be there to answer questions. Timberland Library and the Oakville School District will also be represented. Councilman Cilluffo made a motion for the clerk/treasurer to send a flier advertising the meeting to all post office boxes in Oakville. Councilmember Ruymann seconded the motion. Motion carried. Oakville Chamber MOU: Tabled until next meeting. CITIZENS COMMENTS: Buck Meile stated he found the park sign offensive. 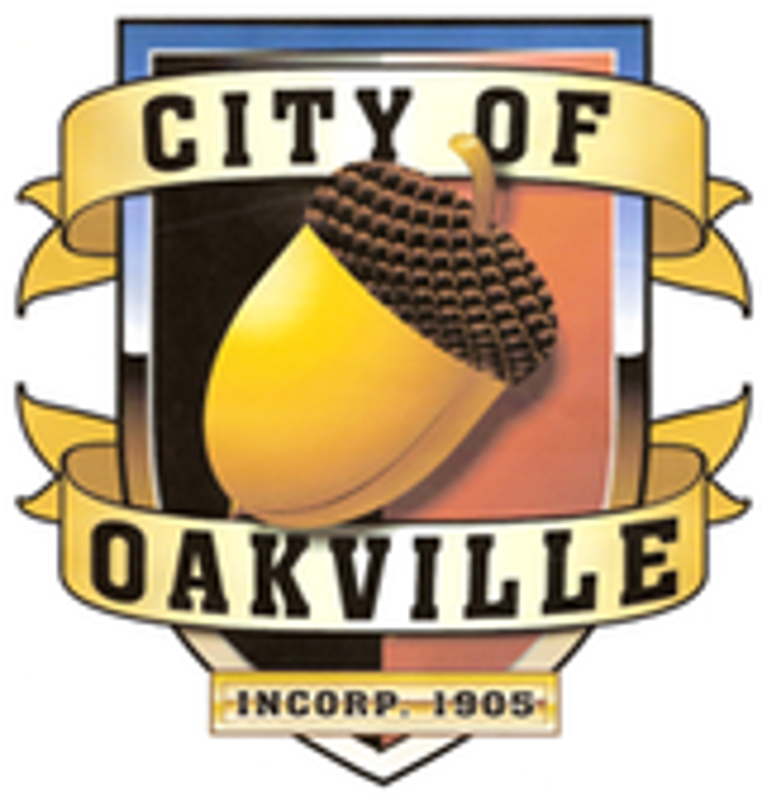 Councilman Cilluffo: Stated there was no bus service to Oakville and the city residents were being charged taxes. He will be contacting the transit system. Council member Fallow: Thanked the Brant family for attending the meeting. Councilman Palmerson: Stated he hoped the park sign would be completed before the beginning of summer if possible. Mayor Sims: Also thanked the Brant family for attending the meeting. At 8:57 P.M. Mayor Sims recessed the meeting until March 24, 2014 at 7:30 P.M.
March 10, 2014 Recessed Meeting Continuation on March 24, 2014. Mayor Sims called the continuation of the recessed Council Meeting of March 10, 2013 to order at 7:30 P.M.
Mayor Thomas Sims and Council members Richard Hawkins, John Ruymann, Allan Palmerson, and Angelo Cilluffo answered roll call. Councilman Hawkins made a motion to excuse Councilmember Fallow’s absence. Councilor Cilluffo seconded the motion. Motion carried. Mayor Sims stated he will be switching around items on the agenda. Floor Coverings: The council reviewed and discussed a bid submitted by Great Floors. Other bids will be forthcoming. The council will be taking a look at the budget. New City Entry Signs: Two sign designs were submitted for the council’s review. Councilman Hawkins will look for a photograph of the Harris Mill before the next regular meeting. Other designs, materials, techniques, prices, maintenance, and funding were discussed. Library Interlocal Agreement: After discussion, a motion was made by Councilman Hawkins to enter into an agreement with the Oakville School District and Timberland Regional Library to move the Library to the high school building. There was no second. Motion died. A motion was then made by Councilor Cilluffo with a second by Councilmember Ruymann not to move the library and discontinue any further discussion regarding the library’s location. Motion carried.